A great wine is built around the way it smells. And this wine is something special. Bought by a client at a business dinner. The restaurant had just taken a delivery of a few cases and the wine hadn’t even made the official wine list. 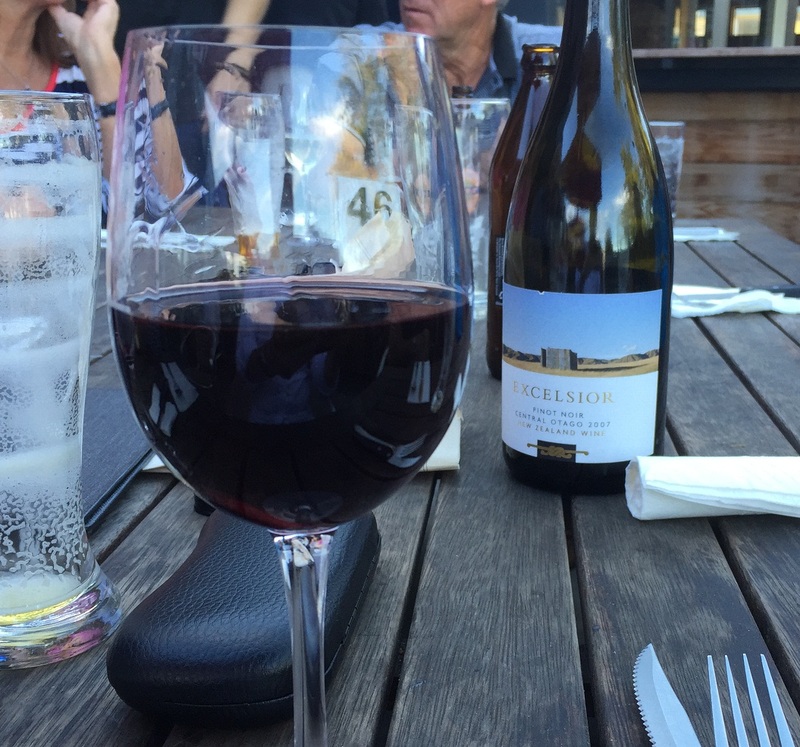 Carrick makes this flagship Pinot Noir from grapes harvested in their Bannockburn vineyard. It’s a super-dense Pinot Noir with core of black cherries enveloped in spice. Lots and lots of vanilla. Rich and powerful. There are florals evident, but this delicacy has been brutally shouldered aside by broader, bolder aromatic characters. Plums, dark chocolate, black cherry and baking spices in the mouth. Perfect ripeness. No vegetal or metallic characters. The wine has a rich velvety texture that is totally involving. Tannins are firm. Length is out through the door into the car park. It improves on standing in the glass too. What a way to bring up my 300th post !! This entry was tagged $$$+, 2007, 5, Bannockburn, Carrick, Central Otago, excelsior, Pinot Noir, Wine of New Zealand. Bookmark the permalink. We don’t get many if an US pinots here alas..